Home > Guitars > What is the Top-Guitars Top Guitar? We have been reviewing and writing about some great guitars for a few years now. As part of that review process we have given you, our readers, the opportunity to cast your vote, positive or negative, on those guitars. So we thought now would be a great time to review which guitars were our favourite and see how this compares to your view. We also will reveal which guitar you have voted for as your Top Guitar. Let’s get started with the guitars that we voted as our top guitars. A near faultless budget guitar from Schecter. 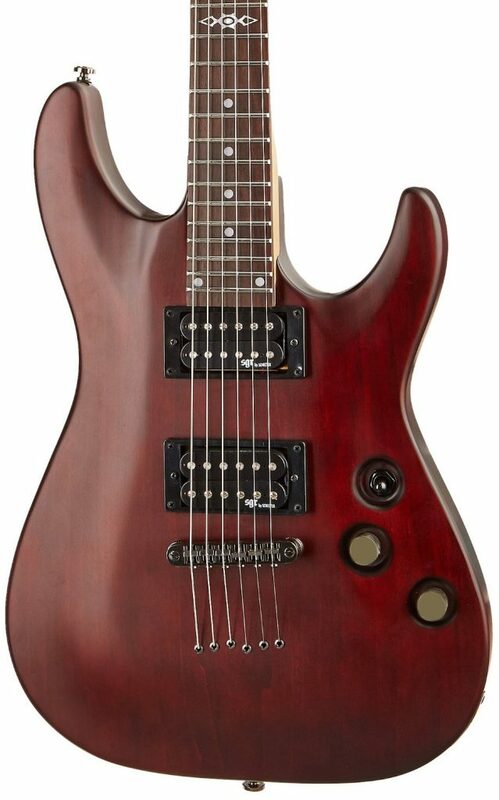 Coming in at number 3 in our Top Guitars is the Schecter C-1 SGR. We reviewed the C-1 SGR back in November 2016 and we were struck by the quality and playability of the guitar. Although a budget instrument the quality was brilliant and the sound quality was equally good considering the price point. We argued at that time that, with budget guitars, the manufacturer often has to compromise on some aspect of the instrument to achieve the entry level price. But we really couldn’t find any compromises with the C-1 SGR and for us this made it a brilliant choice for the novice guitarist. We scored the Schecter C-1 SGR 4.8 out of 5 and interestingly you scored it similarly highly rating it a solid 4.5/5. 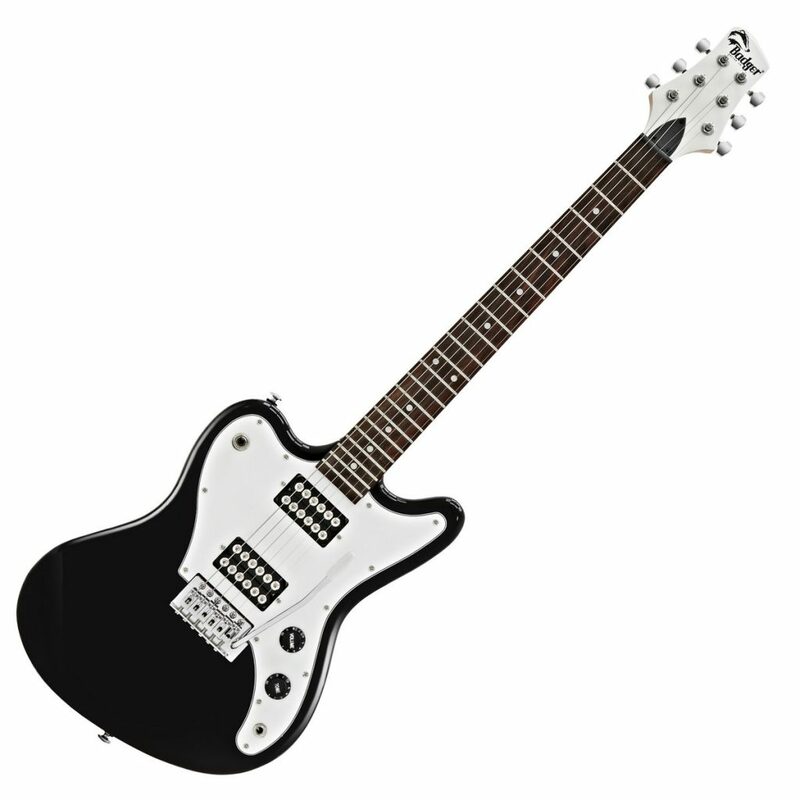 The Badger Guitar is a stylish high spec addition to the budget guitar market. 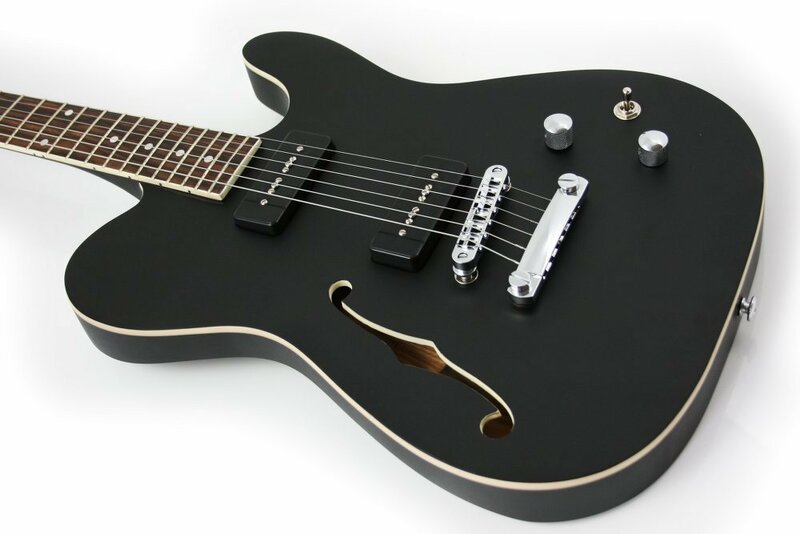 At number 2 we have the Black Badger from Badger Guitars. This appears to have been a controversial choice but we have to say we really liked the Black Badger. The guitar is another budget guitar but we thought it was really quite good for the price. The guitar is solidly built and has quite a quirky design which might have a bit of a marmite effect on people – either you love it or hate it. We liked the fact that you got two humbuckers giving it a real rocky feel as well as a vintage style tremolo. At just under £200 we thought the Black Badger represented great value for money for a good quality guitar. We have to say we loved it but you certainly didn’t. We rated it 4.9/5 and you gave it a dismal 2.9/5 which is quite a difference. But what is our Top Guitar? When we first reviewed this guitar we loved it for its look, feel and sound. Ok it is essentially a Telecaster but it is a Telecaster on speed! From the matt black finish and pointy headstock this is a guitar which will turn heads. We couldn’t fault the build quality, sound quality or playability and although at a rrp of £299 it is a higher priced entry level guitar we thought it was still excellent value for money, especially since you can buy it for a lot less than that through Amazon. You agreed with our appraisal of the Lindo Dark Defender and not a single one of you voted against the guitar. The Lindo Dark Defender is therefore ours as well as your Top Guitar and it is a worthy recipient of the Top-Guitars Top Guitar accolade. What do you think? Do you have a guitar which you think is a Top Guitar if so let us know in the comments below. Even better send us a review of your favourite guitar and we will post it up on the pages of Top Guitars for your fellow readers to rate.